Time capsules are a fun way to preserve memories you’d like to share with future generations. In a constantly changing world, it’s exciting to preserve memorabilia for your future grandchildren and great-grandchildren to experience. While many people in the past have buried their time capsules under the ground, this isn’t the safest environment. Read on to discover how Self Storage in Belmont from KeepSafe Storage Welshpool can provide a better way for you to create and store your time capsule. There’s no safer location to store your time capsule than Self Storage in Belmont. You might want to include a few items that can be impacted by environmental changes in your time capsule. Temperatures that are too hot can melt or degrade certain materials. On the other hand, temperatures that are too cold can cause damaging cracks. When you store a time capsule underground, it’s subject to all the elements that can cause damage to your items. Self Storage in Belmont can provide a controlled environment to ensure your time capsule is protected at all times. Insects and rodents are common intruders when time capsules are kept outdoors or underground. Even attempting to store your time capsule in a basement or attic can allow for these pests to gain access to precious items such as old clothing or stuffed animals. A Self Storage unit can provide a greater degree of protection from any damage that pests can cause to your time capsule. You run the risk of your time capsule being stolen when you store it underground. This can be especially true if any items have a high monetary value. Self Storage units provide a great location for you to keep expensive items locked away safely. When you’re burying your time capsule underground, you’re limited to smaller items that can easily fit inside a certain container. With Self Storage in Belmont, you can store items as large as vehicles in your time capsule. With less limits on the items you can include, your time capsule is sure to be more interesting and varied. Creating a time capsule is a unique and exciting way to hang onto today’s common items that may be unfamiliar or foreign to future generations. However, it stands to reason you’ll want to keep these items safe from harm and the degradation that can naturally occur through the passing years. Materials such as plastic, wood, and fabric can all break down over time if not stored in a controlled environment. 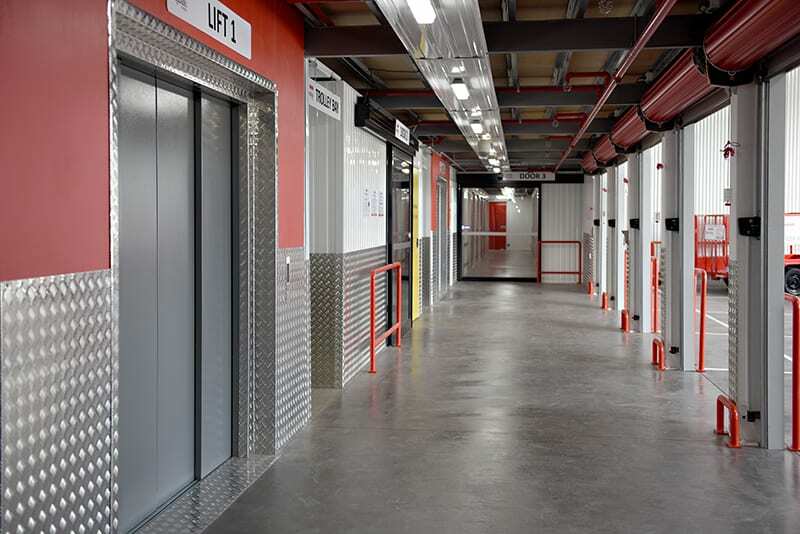 Self Storage in Belmont from KeepSafe Storage Welshpool can provide just the right space for storing your time capsule in a setting where it will be sheltered from harm for years to come.